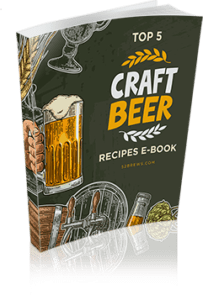 The Micro Beer Club Review (2019 Updated) Is It Worth Joining? 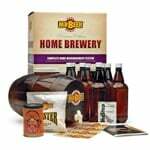 Home > Beer Essentials 101 > The Micro Beer Club ReviewDelivering High End Brew? *Editor’s note: The Micro Beer Club is no longer available. Try one of the other clubs instead… Our personal favorite is the Microbrewed Beer Club (see here). 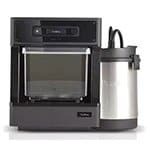 In addition to their most popular option, the High End Beer Club, The Micro Beer Club, has a second option that is also very popular. This club is self-titled called the Micro Beer Club, which includes 12 – 12oz beers in four different styles. So how does it work? The High End Beer Club from The Micro Beer Club includes an awesome variety of 4 different 650ml beers. Most of the other high-end beer clubs out there will only give you two different beers, so if you’re looking for a high-end beer club with above average variety, this is it! Remember these aren’t your standard 12oz bottles, these are 650ml (about 22oz) bomber style bottles. So you’re really getting nearly 7.5 normal bottles of beer. 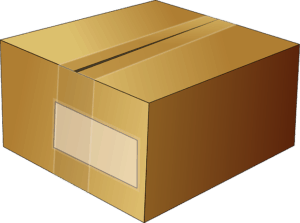 With each shipment, the High End Beer Club allows you to choose the frequency of your deliveries, which month you’d like to start and how many shipments you would like total. They also give you the option to start a recurring membership that keeps going until you cancel. 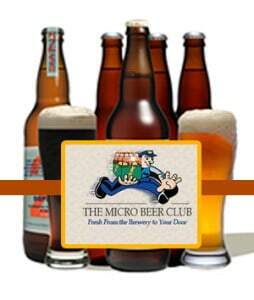 Learn More About The Micro Beer Club! Like I stated just before this, the High End Beer Club has a great variety for what it is. With most high-end or rare beer clubs, you just get 2 of each selection. As with this club, you’ll receive 1 of each selection, so four different beers total, which makes this a no-brainer if you’re looking for the best possible variety in a high end beer club. 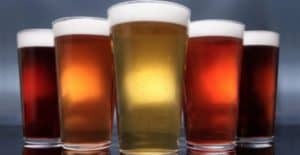 Micro Beer Club also includes your standard variety of different styles of beer, ensuring you’ll never get the same beer twice. It is also stated that these high-end beers are specifically chosen from breweries only on the west coast, which may affect the brewery variety you’ll be receiving. 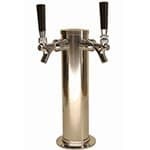 A few of their recent selections include the Racer 5 IPA from Bear Republic Brewing in California, the XXXXX Stout from Pike Brewing in Washington, Damnation from Russian River, which is a Belgian Strong Ale and lastly the Blue Dot from Hair of the Dog Brewery in Oregon. I’ve had a few of these beers myself, and I’ve got to say, they’re top notch. If you’re in love with a certain month’s selection, you can reorder at a discounted rate! The Micro Beer Club does not really go into much detail on how exactly their monthly beer selection process works. I am not sure if they’re actually trying and testing the beers that they are sending out or if there are just taking the breweries word for it. However, from what I’ve gathered from the little information they have provided is that each beer is hand selected by either them or by the breweries they work directly with. So I am assuming they contact small breweries on the west coast and ask them to send their absolute best and most popular brew. 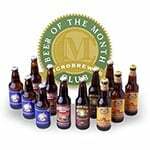 If the selection process is very important to you, I would check out Microbrewed’s beer of the month clubs. Apart from them, you might also want to check out this page for other beer of the month clubs. Check out The Original Micro Beer Club For Yourself! Being a part of beer community can be a great experience and often times, make drinking a beer even more enjoyable. After all, isn’t drinking a beer with a friend much more enjoyable than drinking one by yourself? If you can’t convince a friend to join the beer club with you and you don’t feel like getting him a beer club as a gift, the next best thing is being a part of a beer community. 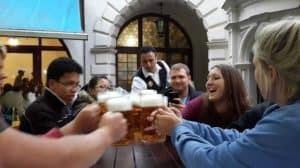 The Micro Beer Club has a small community that includes a blog with some pretty interesting articles that I found myself getting lost in. Lots of great information and great topics that definitely spark some thought. However, it looks like it’s been over a year since they’ve posted on their blog. Not sure if they’re going to continue updating this or not. The High End Beer Club also comes with a newsletter that provides great information about that specific month’s selection. This includes tasting notes, information about each beer, as well as history and information on the brewery that crafted the beer. Unfortunately, The Micro Beer Club does not supply a way to interact with other members of the High End Beer Club such as a Facebook page. All the beer selection that are a part of the High End Beer Club come directly from breweries on the West Coast. So if you live on the other side of the U.S., your beer is going to have to travel far and wide to get to your doorstep. This can probably make several of you skeptical. But don’t worry, The Micro Beer Club will replace or exchange any bottle in the rare chance that it is bad or damaged. 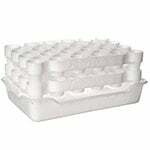 Plus, they also provide free shipping on every single order placed. Each Shipment goes out between the 20th and the 25th of each month and includes a tracking number so you should your beer arriving at the end of each month. When you’ve never heard of a brand or company, it can definitely be tough to trust their product or service and sometimes the only thing you can go by is there guarantee. 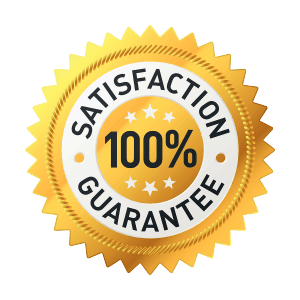 That is why they offer a 100% satisfaction guarantee that ensures that each of these bottles that arrive at your door will be completely unharmed. This means broken bottles, spoiled beer, etc. because accidents do happen. This should help you sign up with confidence. I can’t seem to find a high-end beer club with this awesome of variety. This is the perfect club for anyone looking for an excellent range of high-end beers and great price! So if variety and price is the most important factor in your decision making, you should definitely consider the Micro Beer Club! Here is their website. If you’re a little hesitant and would like to check some other similar clubs, I’d check out the Rare Beer Club by Microbrewed. Take Me To The Micro Beer Club!